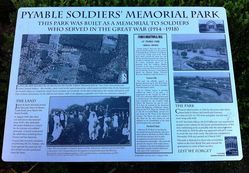 The Pymble Soldiers` Memorial Park was established to commemorate those who served in World War One. 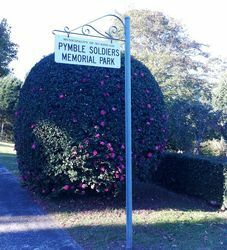 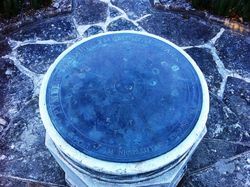 The park was established by Ku-ring-gai Council in 1922 on land donated to Council for the purpose of establishing a Soldiers Memorial for the residents of Pymble. 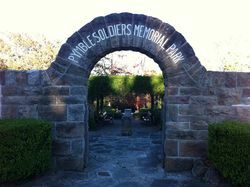 The park is an excellent example of an inter-war period Memorial Park that has retained picturesque elements such as rose beds and formal terraces and displays Edwardian style influences through the stone archway, sandstone crazy paving and emphasis on exotic flowering trees.